There are some amazing events coming up this year and Serve On will be there. Make sure that you are too and that you don’t miss the boat! You won’t want to miss out on the amazing Five Rivers Festival on Bank Holiday Monday, May 27th, in Salisbury. The Festival, put together by the Salisbury Rotary & Business Community Group will celebrate the five rivers that pass through the city. 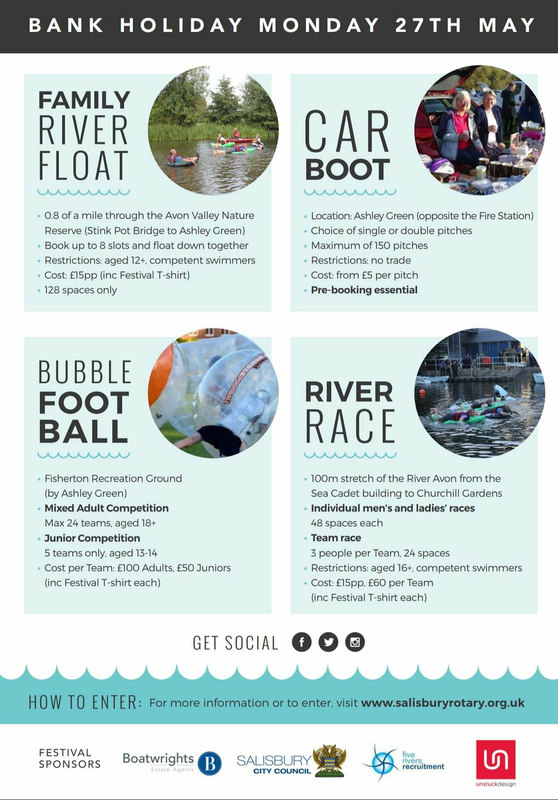 Families will be able to float for a mile down the River Avon in their own inflatables (from Stink Pot Bridge, in Stratford-sub-Castle, to Ashley Green); There will be a River Race for individuals and teams at Churchill Gardens'; Or you can take part in a Bubble Football competition on Fisherton Rec. Serve On volunteers will be heavily involved in providing safety cover for the events and will also have a stand on Ashley Green where Salisbury Fire Station will be holding a special Bank Holiday Car Boot Sale. Proceeds from the charity event will go to Salisbury Rotary Club, the Sea Cadets …and Serve On. If you like water sports then you’ll love the next big event. 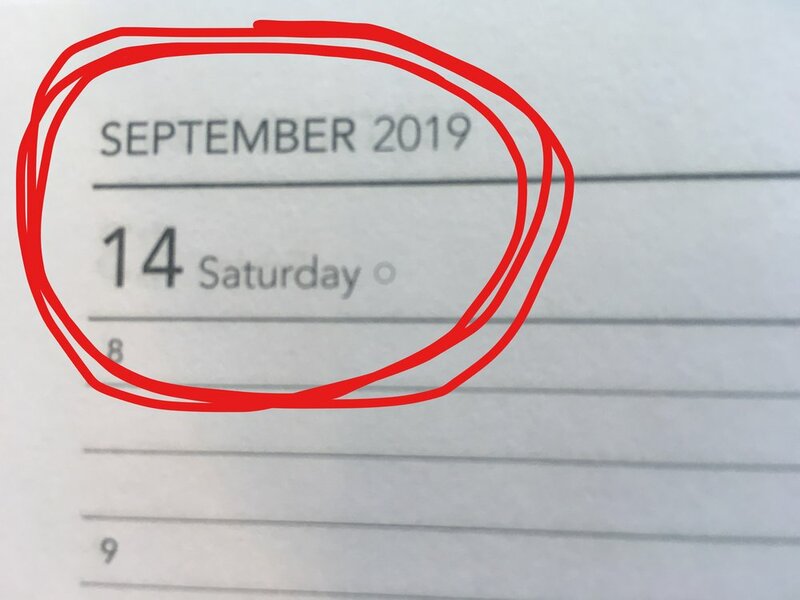 Entries open from Friday, March 1st for the Round Hayling Island Challenge which will take place on September 14th, with Serve On, again, providing safety cover. The Round Hayling Island Challenge (sponsored by the SUP company) is a great celebration not just of windsurfing but of other water sports and, as the name suggests, is quite a challenge. The 14 miles’ circumnavigation can take anything from 60 minutes to 6 hours. Open to Windsurfers, SUPs and a number of canoe classes (OC1, OC2, OC6) the aim is to appeal to both experienced competitors and less experienced riders. This iconic event gives entrants the opportunity to challenge themselves to the Starboard Course – the full 14-mile circumnavigation - or the Red Paddle Co 9 mile course which runs along the more sheltered side of the island. Competitors face a number of challenges in this historic race, including navigating under the road bridge that links the island to the mainland and through the remnants of the old railway bridge as well as through the narrow entrance to Langstone Harbour before the final challenge across the seafront into Chichester Harbour to complete the circumnavigation at HISC. Hayling Island Sailing Club (HISC) is one of the UK’s premier sailing clubs. Perfectly situated at the entrance of Chichester Harbour, HISC not only offers some of the best views over the harbour but also breakfast, lunch and dinner as well as overnight accommodation for both entrants and spectators. Entry opens on Friday 1st March 2019.